Electro Royale is a collection of sounds that draws inspiration from harder and louder EDM genres, such as Big Room and modern Electro, while still keeping a foot in the melodic and mellow. Electro Royale combines big, noisy, screeching leads and basses with mellow and laid back plucks and pads. To achieve a wide sound palette, we departed from our normal way of making sounds. Normally we build soundsets from a handful of waveforms. But with Electro Royale we opened the flood gates and used everything from the internal synth engine and source materials from synth legends such as Virus, Minimoog and Roland JP-8000 - to plastic sounding Casio keyboards, huge sounds from softsynths and even ambient soundscapes. Electro Royale is a part of the ELECTRO BUNDLE, which means if you own two of the the soundsets (Electro Royale, Lounge Electro and Analog All-Stars) you get the third for free, Drop us a mail with your details and we'll send you the last soundset to you for free. 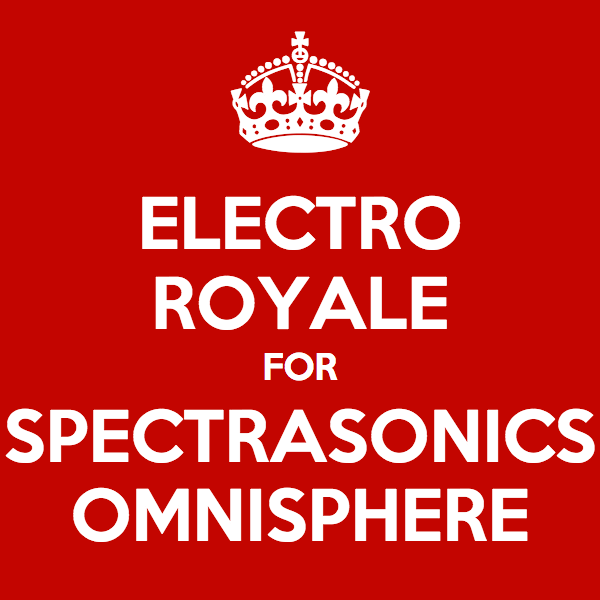 IMPORTANT - Electro Royale is a soundset for Spectrasonics Omnisphere. This product requires a fully working copy of Omnisphere to work. This is not a sample set. Please check out the FAQ before buying.